Fine Decorative Iron Crystal Box Available In Different Designs & Sizes. We are recognized as the prominent organization of optimum quality Crystal Card Box. 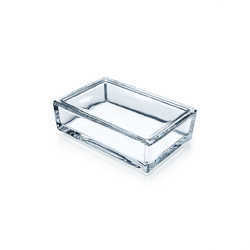 We offers a wide range of Crystal Crafts which includes Dishes, Boxes, Trays, Lamps, Candle Holders, etc. Kindly contact us for your queries. We introduce our business as a notable entity of a qualitative array of Crystal Jewelry Box. 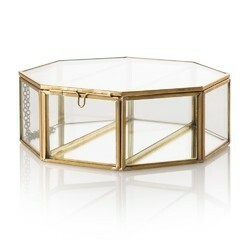 The beautiful handcrafted box is made up of brass and is decorated with crystal all over. Its is a multi utility item which can be used to keep your little thing like cards , jewellery or any other item. The gift piece has been prepared by the master artisans of jaipur.